The Mislaid Deck: Card 120 – The Independent. Posted on September 24, 2015 Categories UncategorizedTags art, death, decay, drawing, fable, fantod, Fiction, handkerchief, horror, humour, independent, politics, satire, statue, tarot, uneaseLeave a comment on The Mislaid Deck: Card 120 – The Independent. Format ImagePosted on September 24, 2015 Categories The Mislaid DeckTags art, death, decay, drawing, fable, fantod, Fiction, handkerchief, horror, humour, independent, politics, satire, statue, tarot, uneaseLeave a comment on The Mislaid Deck: Card 120 – The Independent. 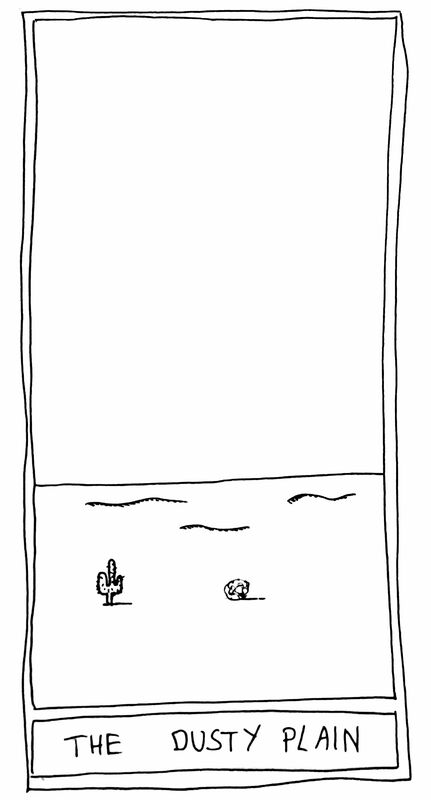 The Mislaid Deck: Card 119 – The Mirror. 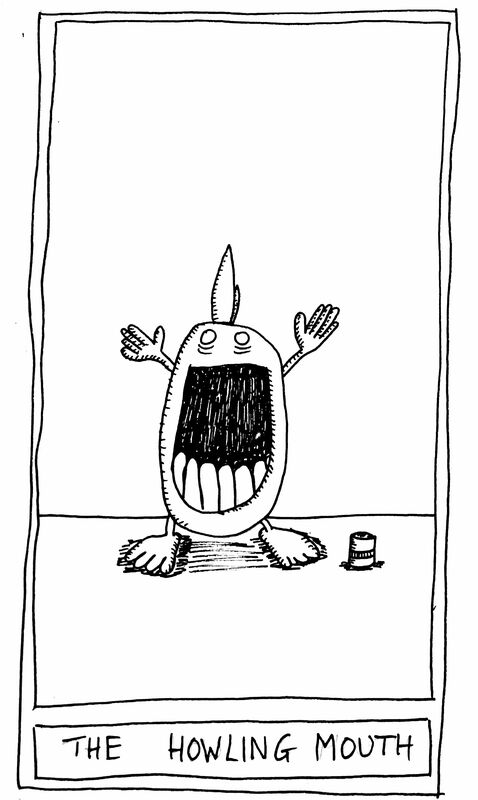 Posted on September 11, 2015 Categories UncategorizedTags art, death, decay, drawing, fable, fantod, Fiction, handkerchief, horror, humour, mirror, narcissus, reflection, satire, tarot, uneaseLeave a comment on The Mislaid Deck: Card 119 – The Mirror. 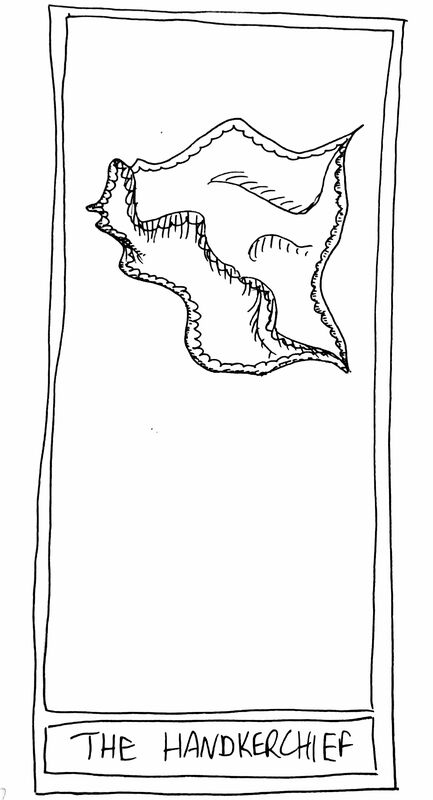 The Mislaid Deck: Card 118 – The Handkerchief. Posted on September 11, 2015 Categories UncategorizedTags art, death, decay, drawing, fable, fantod, Fiction, handkerchief, horror, humour, satire, tarot, uneaseLeave a comment on The Mislaid Deck: Card 118 – The Handkerchief. The Mislaid Deck: Card 117 – The Cannon. 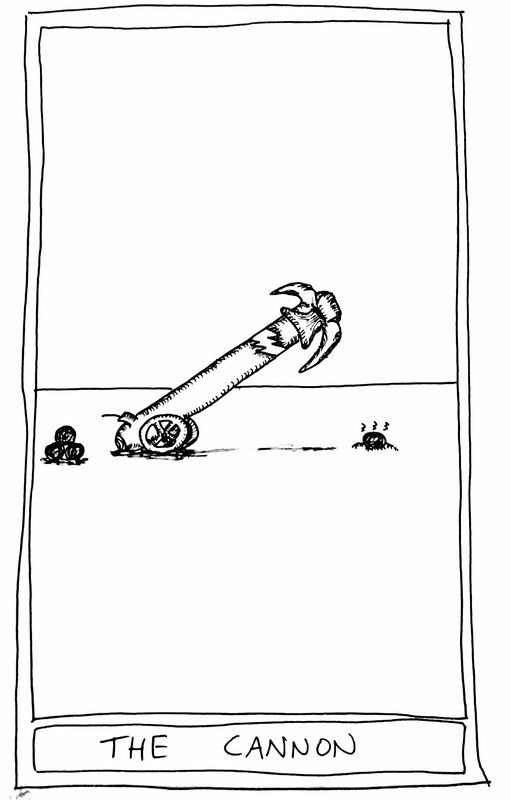 Posted on September 11, 2015 Categories UncategorizedTags art, cannon, cannon balls, death, decay, desert, drawing, fable, fantod, Fiction, horror, humour, power, satire, tarot, temptation, uneaseLeave a comment on The Mislaid Deck: Card 117 – The Cannon. The Mislaid Deck: Card 116 – The Button. 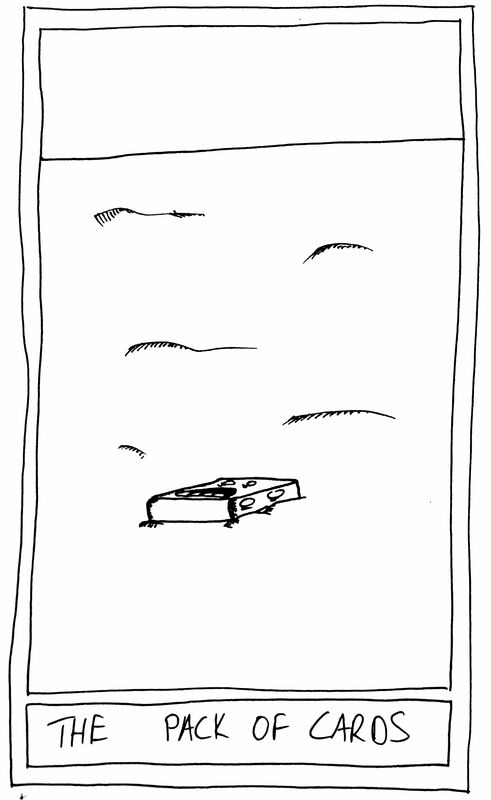 Posted on September 11, 2015 Categories UncategorizedTags art, button, circus, death, decay, desert, drawing, end of days, fable, fantod, Fiction, horror, humour, power, satire, tarot, temptation, the beginning, THE END, uneaseLeave a comment on The Mislaid Deck: Card 116 – The Button. The Mislaid Deck: Card 115 – The Circus. 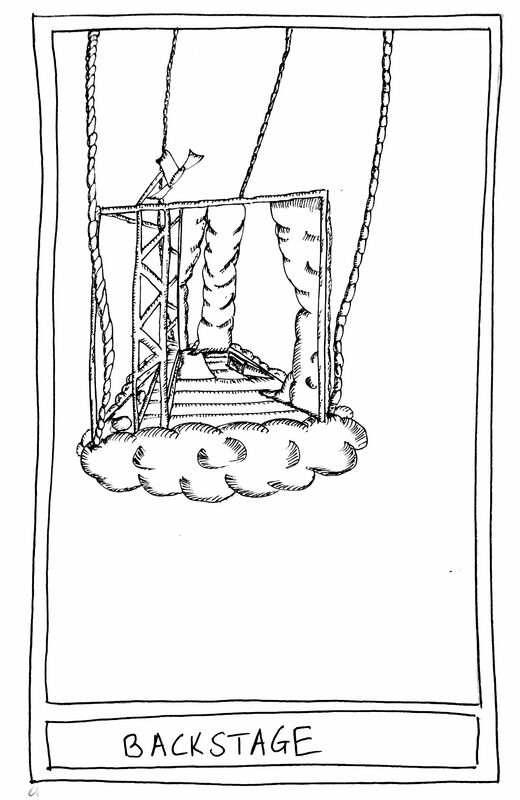 Posted on September 11, 2015 Categories UncategorizedTags art, circus, death, decay, desert, drawing, fable, fantod, Fiction, horror, humour, power, satire, tarot, uneaseLeave a comment on The Mislaid Deck: Card 115 – The Circus. 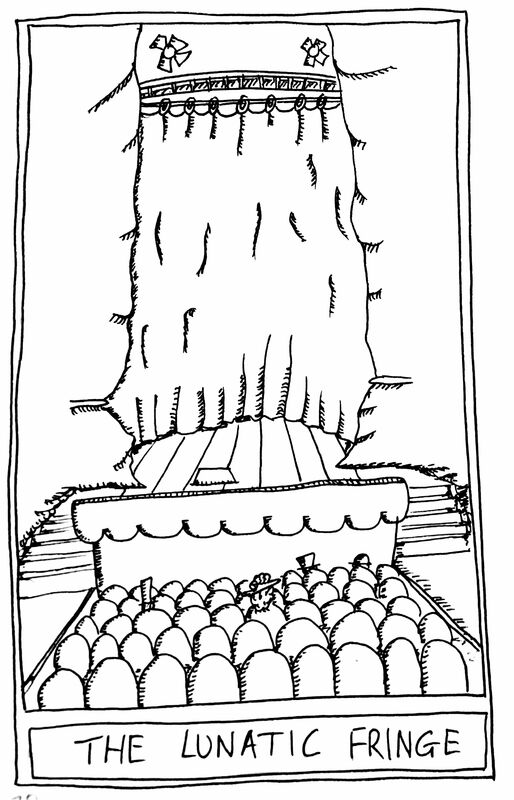 The Mislaid Deck: Card 114 – The Tour Bus. Posted on September 11, 2015 Categories UncategorizedTags art, death, decay, desert, drawing, fable, fantod, Fiction, horror, humour, Music, politics, power, satire, tarot, tour bus, uneaseLeave a comment on The Mislaid Deck: Card 114 – The Tour Bus. 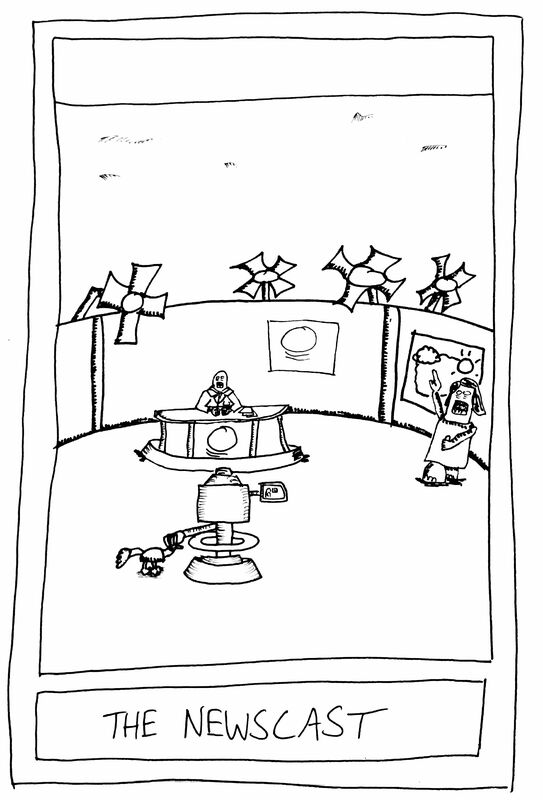 The Mislaid Deck: Card 113 – The Newscast. Posted on September 11, 2015 Categories UncategorizedTags art, death, decay, desert, drawing, fable, fantod, Fiction, horror, humour, journalism, lies, newscast, politics, power, satire, tarot, truth, uneaseLeave a comment on The Mislaid Deck: Card 113 – The Newscast. The Mislaid Deck: Card 112 – The Book. Posted on September 11, 2015 Categories UncategorizedTags art, book, death, decay, desert, drawing, fable, fantod, Fiction, horror, humour, pedestal, politics, power, satire, tarot, uneaseLeave a comment on The Mislaid Deck: Card 112 – The Book. The Mislaid Deck: Card 111 – The Masked Stranger. Posted on September 11, 2015 Categories UncategorizedTags art, cards, death, decay, desert, drawing, Elephant, fable, fantod, Fiction, GOP, horror, humour, mask, politics, power, satire, stranger, tarot, uneaseLeave a comment on The Mislaid Deck: Card 111 – The Masked Stranger. 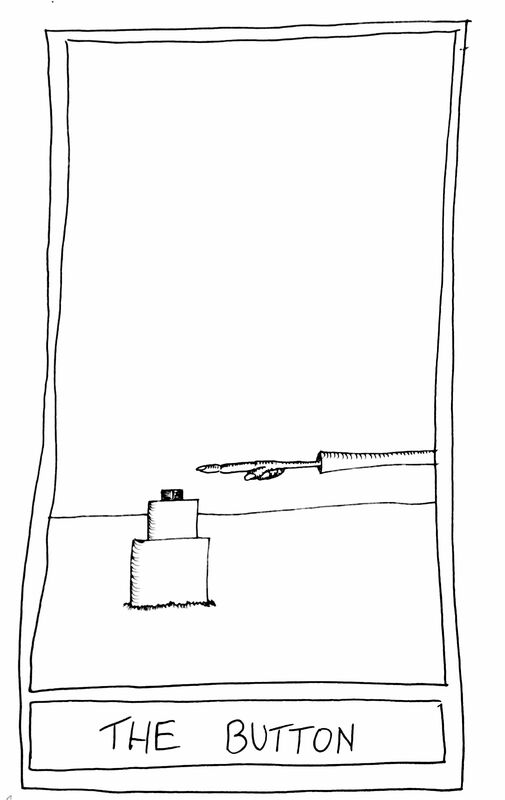 Format ImagePosted on September 11, 2015 Categories The Mislaid DeckTags art, death, decay, drawing, fable, fantod, Fiction, handkerchief, horror, humour, mirror, narcissus, reflection, satire, tarot, uneaseLeave a comment on The Mislaid Deck: Card 119 – The Mirror. 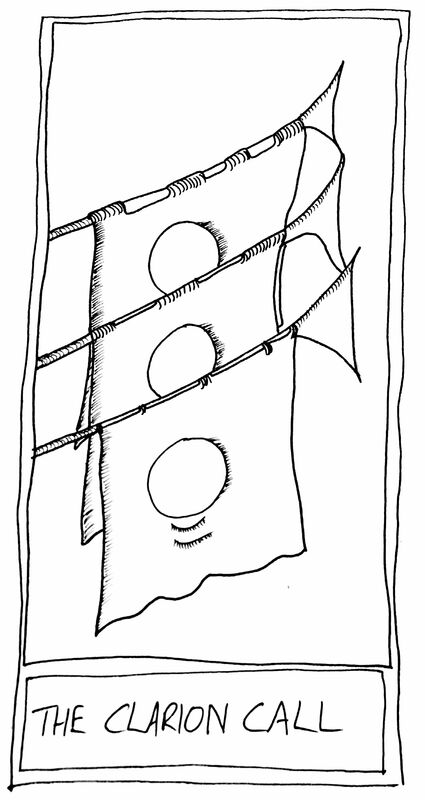 Format ImagePosted on September 11, 2015 Categories The Mislaid DeckTags art, death, decay, drawing, fable, fantod, Fiction, handkerchief, horror, humour, satire, tarot, uneaseLeave a comment on The Mislaid Deck: Card 118 – The Handkerchief. Format ImagePosted on September 11, 2015 Categories The Mislaid DeckTags art, cannon, cannon balls, death, decay, desert, drawing, fable, fantod, Fiction, horror, humour, power, satire, tarot, temptation, uneaseLeave a comment on The Mislaid Deck: Card 117 – The Cannon. Format ImagePosted on September 11, 2015 Categories The Mislaid DeckTags art, button, circus, death, decay, desert, drawing, end of days, fable, fantod, Fiction, horror, humour, power, satire, tarot, temptation, the beginning, THE END, uneaseLeave a comment on The Mislaid Deck: Card 116 – The Button. 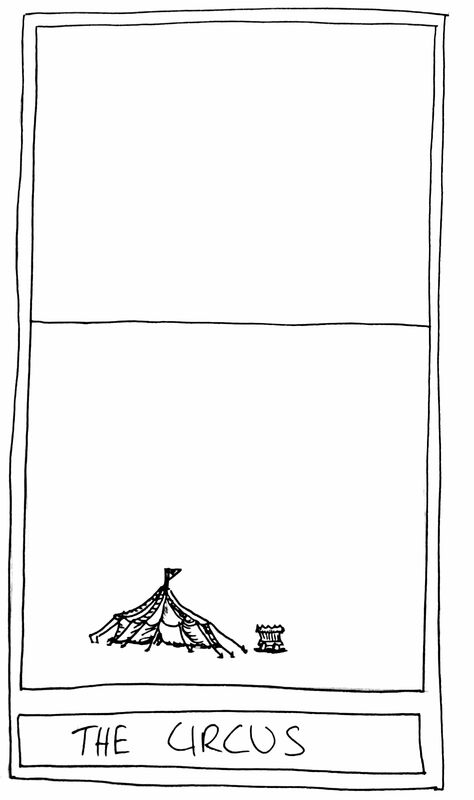 Format ImagePosted on September 11, 2015 Categories The Mislaid DeckTags art, circus, death, decay, desert, drawing, fable, fantod, Fiction, horror, humour, power, satire, tarot, uneaseLeave a comment on The Mislaid Deck: Card 115 – The Circus. Format ImagePosted on September 11, 2015 Categories The Mislaid DeckTags art, death, decay, desert, drawing, fable, fantod, Fiction, horror, humour, Music, politics, power, satire, tarot, tour bus, uneaseLeave a comment on The Mislaid Deck: Card 114 – The Tour Bus. Format ImagePosted on September 11, 2015 Categories The Mislaid DeckTags art, death, decay, desert, drawing, fable, fantod, Fiction, horror, humour, journalism, lies, newscast, politics, power, satire, tarot, truth, uneaseLeave a comment on The Mislaid Deck: Card 113 – The Newscast. 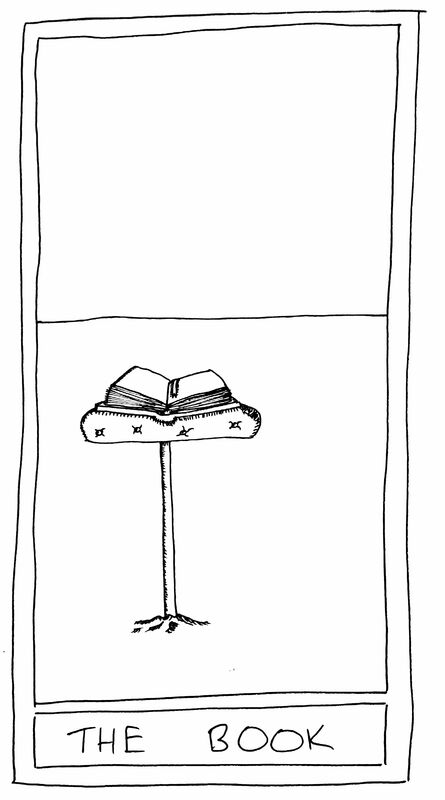 Format ImagePosted on September 11, 2015 Categories The Mislaid DeckTags art, book, death, decay, desert, drawing, fable, fantod, Fiction, horror, humour, pedestal, politics, power, satire, tarot, uneaseLeave a comment on The Mislaid Deck: Card 112 – The Book. 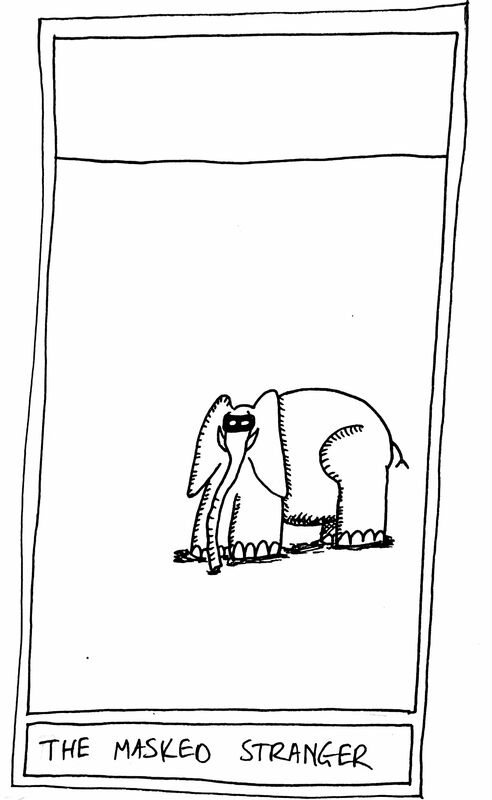 Format ImagePosted on September 11, 2015 Categories The Mislaid DeckTags art, cards, death, decay, desert, drawing, Elephant, fable, fantod, Fiction, GOP, horror, humour, mask, politics, power, satire, stranger, tarot, uneaseLeave a comment on The Mislaid Deck: Card 111 – The Masked Stranger. The Mislaid Deck: Card 110 – Backstage. Posted on September 10, 2015 Categories UncategorizedTags art, backstage, cards, cloud, death, decay, desert, drawing, fable, fantod, Fiction, floating, horror, humour, politics, power, satire, stagecraft, tarot, uneaseLeave a comment on The Mislaid Deck: Card 110 – Backstage. 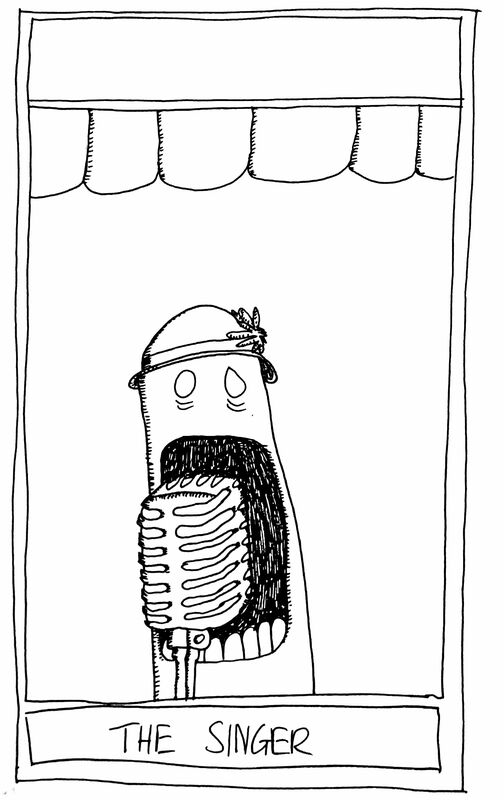 The Mislaid Deck: Card 109 – The Singer. Posted on September 10, 2015 Categories UncategorizedTags art, cards, death, decay, desert, drawing, fable, fantod, Fiction, horror, humour, politics, power, satire, Scotland, singer, tarot, uneaseLeave a comment on The Mislaid Deck: Card 109 – The Singer. The Mislaid Deck: Card 109 – The Dusty Plain. 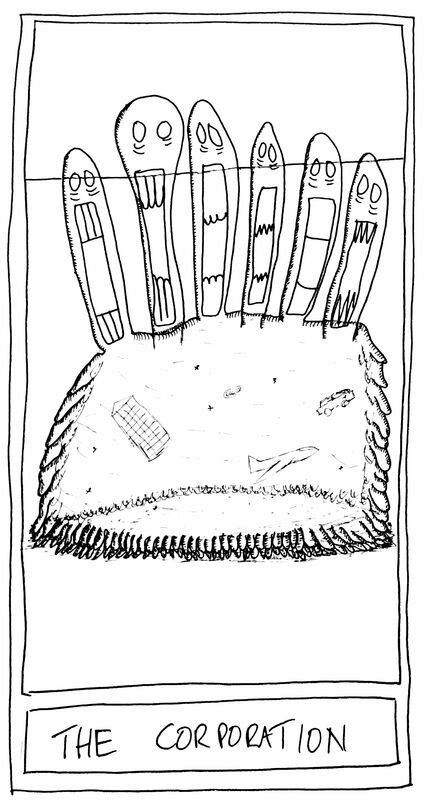 Posted on September 10, 2015 Categories UncategorizedTags art, cactus, cards, death, decay, desert, drawing, dusty plain, fable, fantod, Fiction, horror, humour, politics, power, satire, Scotland, tarot, uneaseLeave a comment on The Mislaid Deck: Card 109 – The Dusty Plain. The Mislaid Deck: Card 107 – The Pack of Cards. Posted on September 10, 2015 Categories UncategorizedTags art, cards, death, decay, desert, drawing, fable, fantod, Fiction, horror, humour, pack of cards, politics, power, satire, Scotland, tarot, uneaseLeave a comment on The Mislaid Deck: Card 107 – The Pack of Cards. The Mislaid Deck: Card 106 – The Lunatic Fringe. Posted on September 10, 2015 Categories UncategorizedTags art, cards, death, decay, desert, drawing, fable, fantod, Fiction, fringe, horror, humour, lunatic, politics, power, satire, Scotland, stagecraft, tarot, theater, theatre, uneaseLeave a comment on The Mislaid Deck: Card 106 – The Lunatic Fringe. 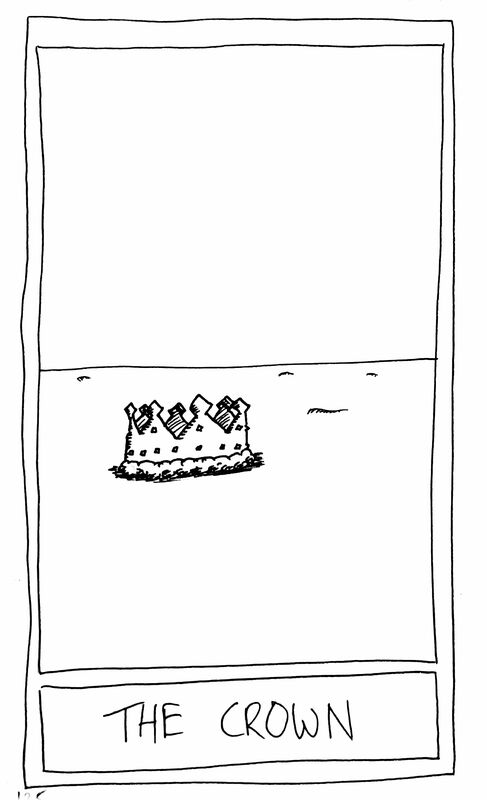 The Mislaid Deck: Card 105 – The Crown. Posted on September 10, 2015 Categories UncategorizedTags art, cards, crown, death, decay, desert, drawing, fable, fantod, Fiction, horror, humour, jubilee, politics, power, satire, Scotland, tarot, uneaseLeave a comment on The Mislaid Deck: Card 105 – The Crown. The Mislaid Deck: Card 104 – The Lake. Posted on September 10, 2015 Categories UncategorizedTags art, cards, death, decay, desert, drawing, fable, fantod, Fiction, horror, humour, lake, politics, power, satire, Scotland, tarot, uneaseLeave a comment on The Mislaid Deck: Card 104 – The Lake. The Mislaid Deck: Card 103 – The Broken Bottle. Posted on September 10, 2015 Categories UncategorizedTags art, broken bottle, cards, death, decay, desert, drawing, fable, fantod, Fiction, horror, humour, politics, power, satire, Scotland, tarot, uneaseLeave a comment on The Mislaid Deck: Card 103 – The Broken Bottle. 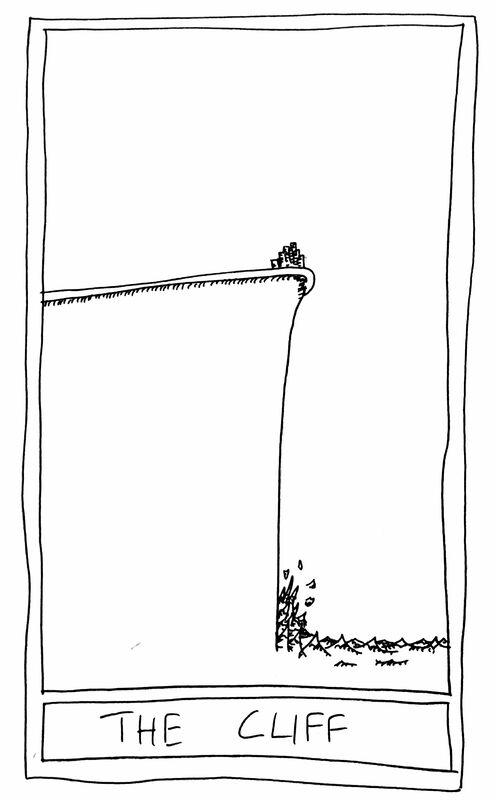 The Mislaid Deck: Card 102 – The Cliff. 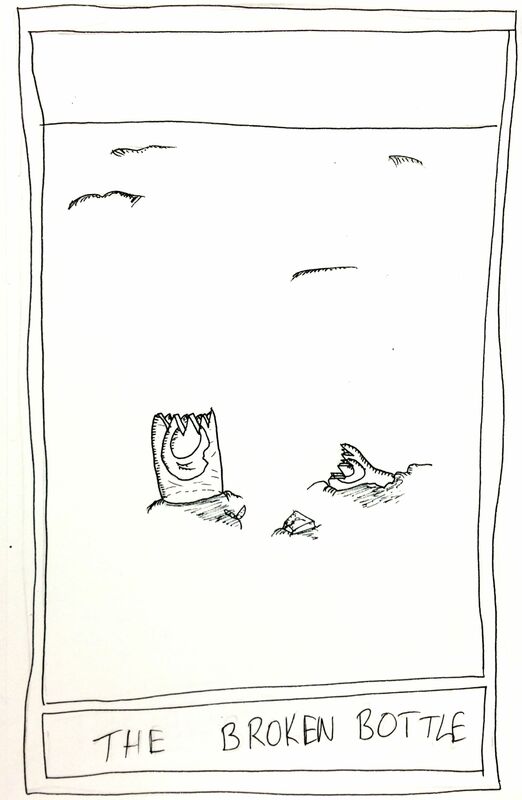 Posted on September 10, 2015 Categories UncategorizedTags art, cards, cliff, death, decay, drawing, fable, fantod, Fiction, horror, humour, ocean, politics, power, satire, Scotland, tarot, uneaseLeave a comment on The Mislaid Deck: Card 102 – The Cliff. The Mislaid Deck: Card 101 – The Horizon. Posted on September 10, 2015 Categories UncategorizedTags art, cards, death, decay, drawing, fable, fantod, Fiction, horizon, horror, humour, politics, power, satire, Scotland, tarot, uneaseLeave a comment on The Mislaid Deck: Card 101 – The Horizon. 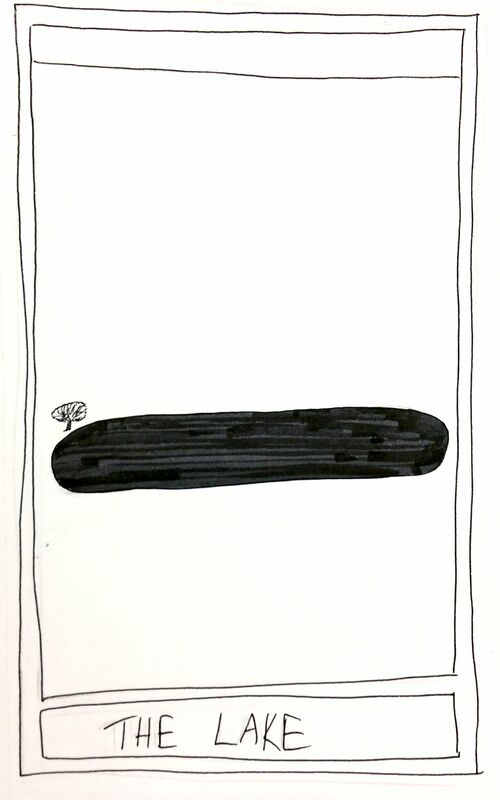 Format ImagePosted on September 10, 2015 Categories The Mislaid DeckTags art, backstage, cards, cloud, death, decay, desert, drawing, fable, fantod, Fiction, floating, horror, humour, politics, power, satire, stagecraft, tarot, uneaseLeave a comment on The Mislaid Deck: Card 110 – Backstage. Format ImagePosted on September 10, 2015 Categories The Mislaid DeckTags art, cards, death, decay, desert, drawing, fable, fantod, Fiction, horror, humour, politics, power, satire, Scotland, singer, tarot, uneaseLeave a comment on The Mislaid Deck: Card 109 – The Singer. The Mislaid Deck: Card 108 – The Dusty Plain. Format ImagePosted on September 10, 2015 September 10, 2015 Categories The Mislaid DeckTags art, cactus, cards, death, decay, desert, drawing, dusty plain, fable, fantod, Fiction, horror, humour, politics, power, satire, Scotland, tarot, uneaseLeave a comment on The Mislaid Deck: Card 108 – The Dusty Plain. Format ImagePosted on September 10, 2015 Categories The Mislaid DeckTags art, cards, death, decay, desert, drawing, fable, fantod, Fiction, horror, humour, pack of cards, politics, power, satire, Scotland, tarot, uneaseLeave a comment on The Mislaid Deck: Card 107 – The Pack of Cards. Format ImagePosted on September 10, 2015 Categories The Mislaid DeckTags art, cards, death, decay, desert, drawing, fable, fantod, Fiction, fringe, horror, humour, lunatic, politics, power, satire, Scotland, stagecraft, tarot, theater, theatre, uneaseLeave a comment on The Mislaid Deck: Card 106 – The Lunatic Fringe. Format ImagePosted on September 10, 2015 Categories The Mislaid DeckTags art, cards, crown, death, decay, desert, drawing, fable, fantod, Fiction, horror, humour, jubilee, politics, power, satire, Scotland, tarot, uneaseLeave a comment on The Mislaid Deck: Card 105 – The Crown. Format ImagePosted on September 10, 2015 Categories The Mislaid DeckTags art, cards, death, decay, desert, drawing, fable, fantod, Fiction, horror, humour, lake, politics, power, satire, Scotland, tarot, uneaseLeave a comment on The Mislaid Deck: Card 104 – The Lake. Format ImagePosted on September 10, 2015 Categories The Mislaid DeckTags art, broken bottle, cards, death, decay, desert, drawing, fable, fantod, Fiction, horror, humour, politics, power, satire, Scotland, tarot, uneaseLeave a comment on The Mislaid Deck: Card 103 – The Broken Bottle. Format ImagePosted on September 10, 2015 Categories The Mislaid DeckTags art, cards, cliff, death, decay, drawing, fable, fantod, Fiction, horror, humour, ocean, politics, power, satire, Scotland, tarot, uneaseLeave a comment on The Mislaid Deck: Card 102 – The Cliff. Format ImagePosted on September 10, 2015 Categories The Mislaid DeckTags art, cards, death, decay, drawing, fable, fantod, Fiction, horizon, horror, humour, politics, power, satire, Scotland, tarot, uneaseLeave a comment on The Mislaid Deck: Card 101 – The Horizon. 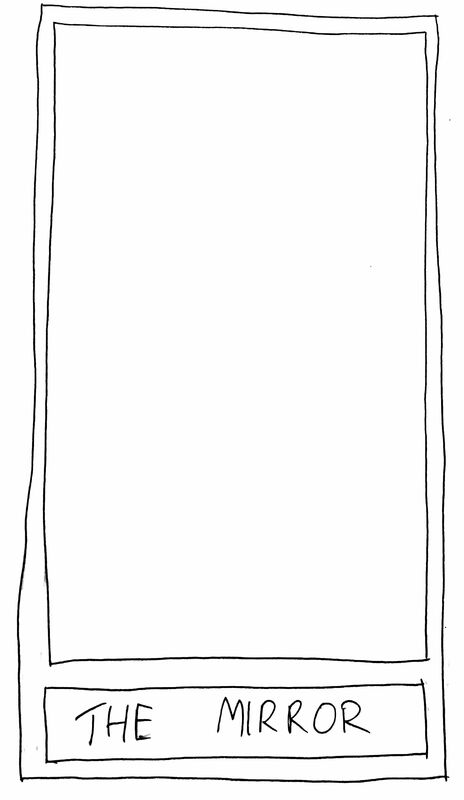 The Mislaid Deck: Card 100 – The Empty Room. 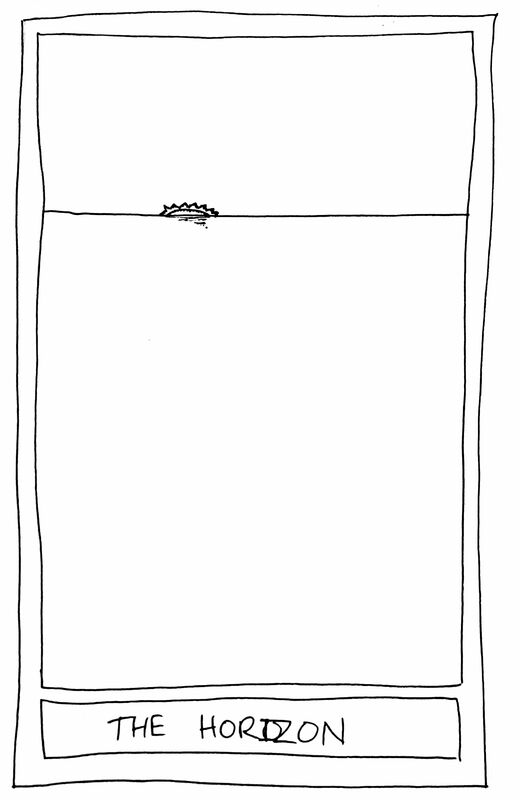 Posted on September 4, 2015 Categories UncategorizedTags art, cards, death, decay, drawing, emptiness, empty room, fable, fantod, Fiction, horror, humour, politics, power, satire, Scotland, tarot, uneaseLeave a comment on The Mislaid Deck: Card 100 – The Empty Room. 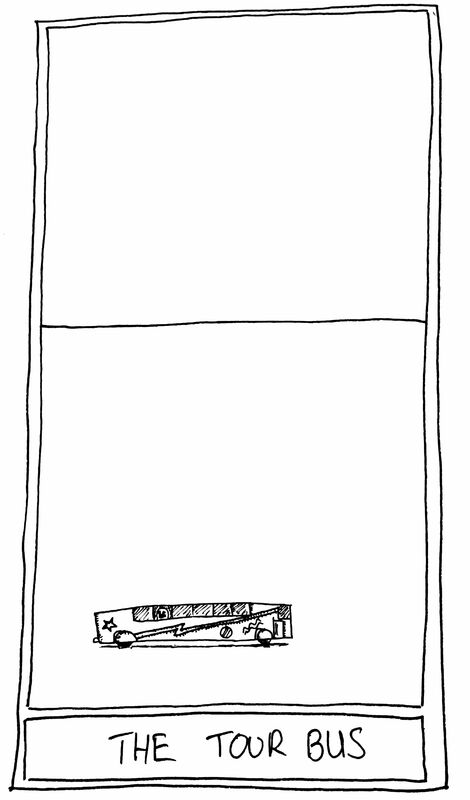 Format ImagePosted on September 4, 2015 Categories The Mislaid DeckTags art, cards, death, decay, drawing, emptiness, empty room, fable, fantod, Fiction, horror, humour, politics, power, satire, Scotland, tarot, uneaseLeave a comment on The Mislaid Deck: Card 100 – The Empty Room. 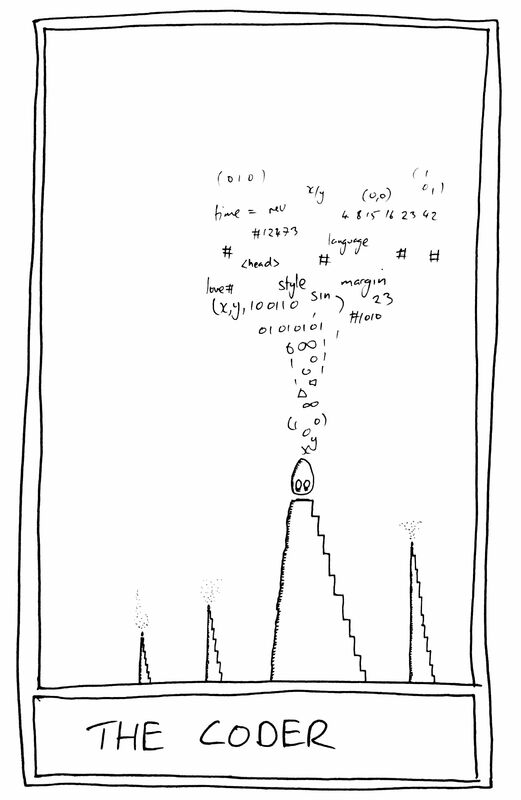 The Mislaid Deck: Card 98 – The Coder. Posted on August 27, 2015 Categories UncategorizedTags art, cards, coder, coding, death, decay, drawing, fable, fantod, Fiction, horror, humour, politics, power, satire, tarot, uneaseLeave a comment on The Mislaid Deck: Card 98 – The Coder. 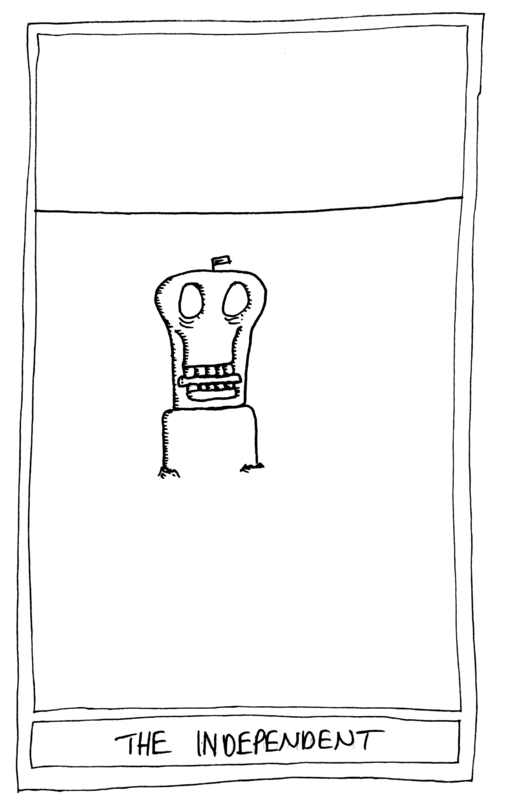 Format ImagePosted on August 27, 2015 Categories The Mislaid DeckTags art, cards, coder, coding, death, decay, drawing, fable, fantod, Fiction, horror, humour, politics, power, satire, tarot, uneaseLeave a comment on The Mislaid Deck: Card 98 – The Coder. The Mislaid Deck: Card 97 – The Mendicant. Posted on August 26, 2015 Categories UncategorizedTags art, cards, death, decay, drawing, fable, fantod, Fiction, horror, humour, mendicant, politics, power, satire, Scotland, tarot, uneaseLeave a comment on The Mislaid Deck: Card 97 – The Mendicant. Format ImagePosted on August 26, 2015 Categories The Mislaid DeckTags art, cards, death, decay, drawing, fable, fantod, Fiction, horror, humour, mendicant, politics, power, satire, Scotland, tarot, uneaseLeave a comment on The Mislaid Deck: Card 97 – The Mendicant. 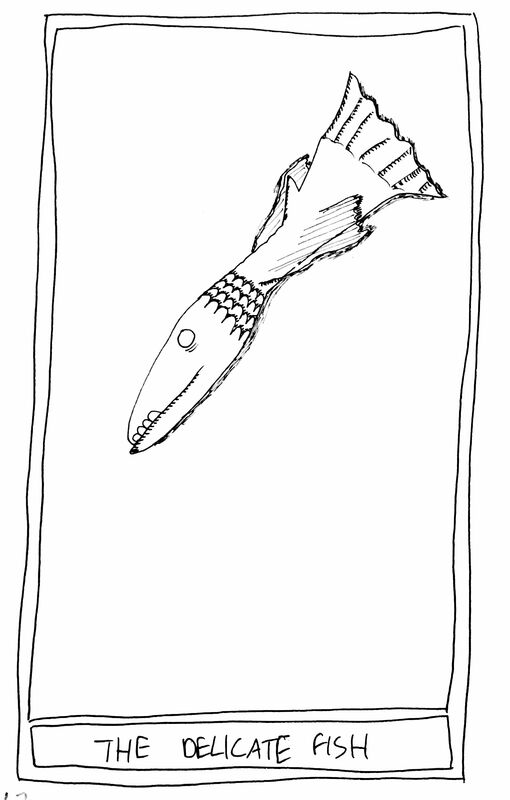 The Mislaid Deck: Card 96 – The Delicate Fish. Posted on August 25, 2015 Categories UncategorizedTags art, cards, death, decay, delicacy, drawing, fable, fantod, Fiction, fish, hopelessness, horror, humour, myth, politics, power, satire, Scotland, tarot, uneaseLeave a comment on The Mislaid Deck: Card 96 – The Delicate Fish. Format ImagePosted on August 25, 2015 Categories The Mislaid DeckTags art, cards, death, decay, delicacy, drawing, fable, fantod, Fiction, fish, hopelessness, horror, humour, myth, politics, power, satire, Scotland, tarot, uneaseLeave a comment on The Mislaid Deck: Card 96 – The Delicate Fish. The Mislaid Deck: Card 95 – The Howling Mouth. Posted on August 24, 2015 Categories UncategorizedTags art, cards, computer, death, decay, drawing, fable, fantod, Fiction, hopelessness, horror, humour, myth, politics, power, satire, Scotland, tarot, uneaseLeave a comment on The Mislaid Deck: Card 95 – The Howling Mouth. Format ImagePosted on August 24, 2015 Categories The Mislaid DeckTags art, cards, computer, death, decay, drawing, fable, fantod, Fiction, hopelessness, horror, humour, myth, politics, power, satire, Scotland, tarot, uneaseLeave a comment on The Mislaid Deck: Card 95 – The Howling Mouth. 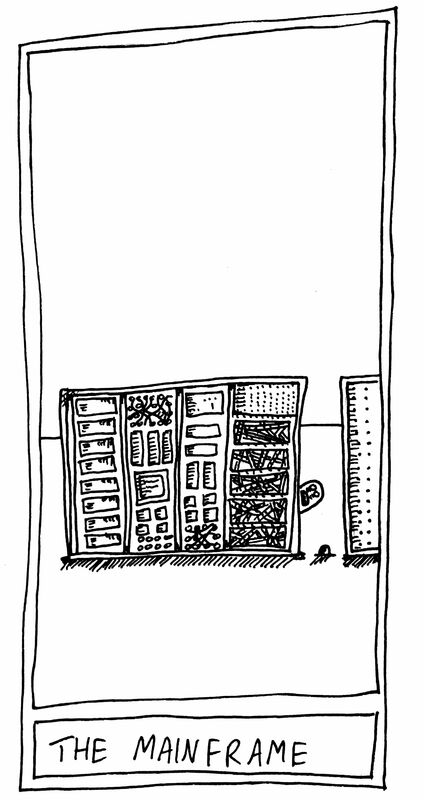 The Mislaid Deck: Card 93 – The Mainframe. Posted on August 11, 2015 Categories UncategorizedTags art, cards, computer, death, decay, drawing, fable, fantod, Fiction, hopelessness, horror, humour, mainframe, myth, politics, power, satire, Scotland, tarot, uneaseLeave a comment on The Mislaid Deck: Card 93 – The Mainframe. 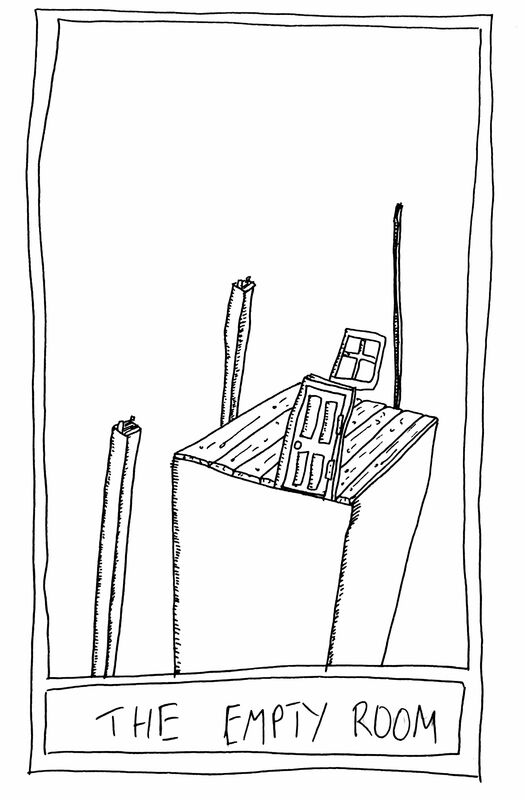 The Mislaid Deck: Card 94 – The Mainframe. Format ImagePosted on August 11, 2015 August 11, 2015 Categories The Mislaid DeckTags art, cards, computer, death, decay, drawing, fable, fantod, Fiction, hopelessness, horror, humour, mainframe, myth, politics, power, satire, Scotland, tarot, uneaseLeave a comment on The Mislaid Deck: Card 94 – The Mainframe. The Mislaid Deck: Card 93 – The Corporation. Posted on August 9, 2015 Categories UncategorizedTags art, cards, corporation, death, decay, drawing, fable, fantod, Fiction, hopelessness, horror, humour, myth, politics, power, satire, Scotland, tarot, uneaseLeave a comment on The Mislaid Deck: Card 93 – The Corporation. Format ImagePosted on August 8, 2015 Categories The Mislaid DeckTags art, cards, corporation, death, decay, drawing, fable, fantod, Fiction, hopelessness, horror, humour, myth, politics, power, satire, Scotland, tarot, uneaseLeave a comment on The Mislaid Deck: Card 93 – The Corporation. 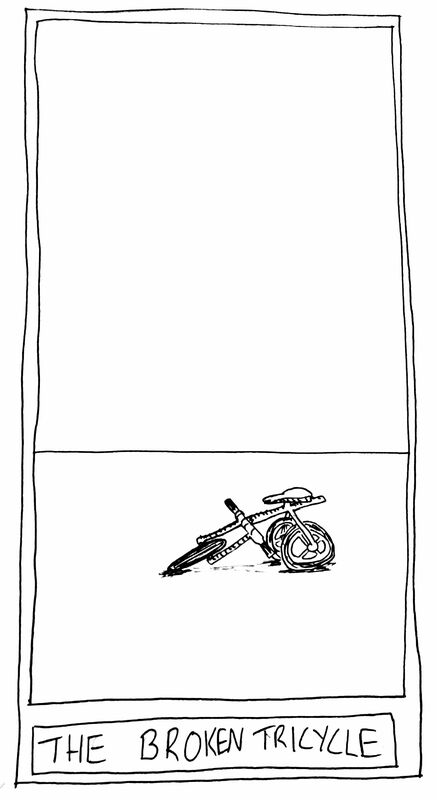 The Mislaid Deck: Card 92 – The Broken Tricycle. Posted on August 4, 2015 Categories UncategorizedTags art, broken, cards, death, decay, drawing, fantod, Fiction, hopelessness, horror, humour, politics, satire, tarot, tricycle, uneaseLeave a comment on The Mislaid Deck: Card 92 – The Broken Tricycle. Format ImagePosted on August 4, 2015 August 4, 2015 Categories The Mislaid DeckTags art, broken, cards, death, decay, drawing, fantod, Fiction, hopelessness, horror, humour, politics, satire, tarot, tricycle, uneaseLeave a comment on The Mislaid Deck: Card 92 – The Broken Tricycle. The Mislaid Deck: Card 91 – The Banshee. 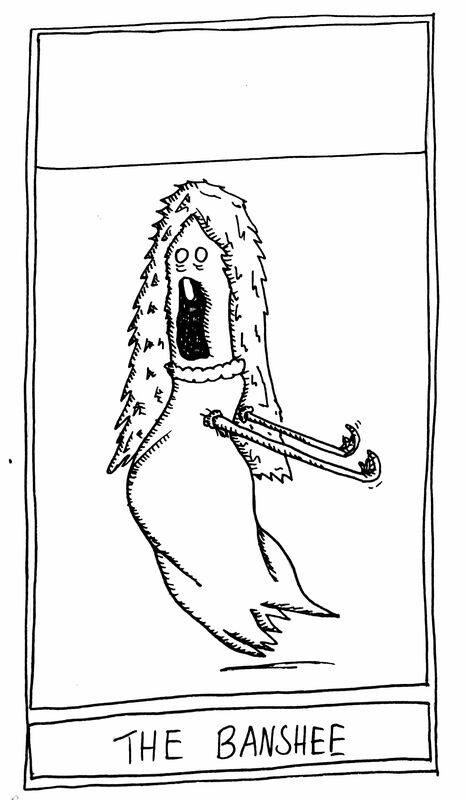 Posted on August 3, 2015 Categories UncategorizedTags art, banshee, cards, death, decay, drawing, fable, fantod, Fiction, hopelessness, horror, humour, myth, politics, power, satire, Scotland, tarot, uneaseLeave a comment on The Mislaid Deck: Card 91 – The Banshee. Format ImagePosted on August 3, 2015 Categories The Mislaid DeckTags art, banshee, cards, death, decay, drawing, fable, fantod, Fiction, hopelessness, horror, humour, myth, politics, power, satire, Scotland, tarot, uneaseLeave a comment on The Mislaid Deck: Card 91 – The Banshee. The Mislaid Deck: Card 90 – The Fluffer. Posted on July 22, 2015 Categories UncategorizedTags art, cards, death, decay, drawing, fable, fantod, Fiction, fluffer, hopelessness, horror, humour, politics, power, satire, tarot, uneaseLeave a comment on The Mislaid Deck: Card 90 – The Fluffer. 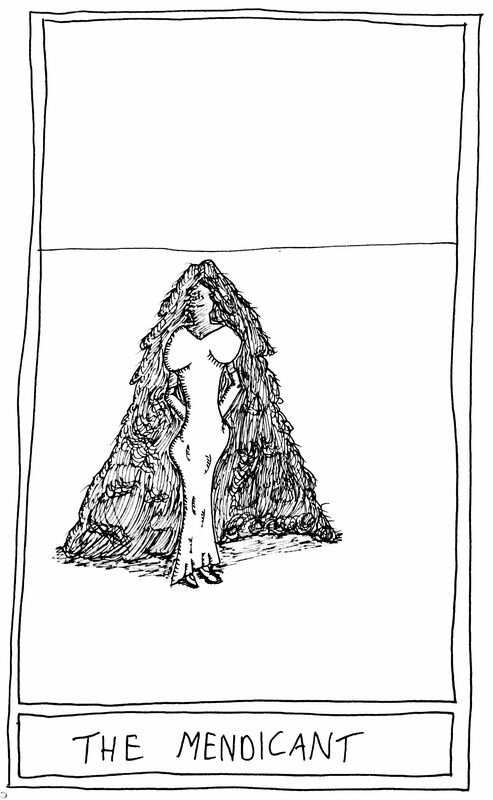 Format ImagePosted on July 22, 2015 Categories The Mislaid DeckTags art, cards, death, decay, drawing, fable, fantod, Fiction, fluffer, hopelessness, horror, humour, politics, power, satire, tarot, uneaseLeave a comment on The Mislaid Deck: Card 90 – The Fluffer. The Mislaid Deck: Card 89 – The Lunatic Fringe. Posted on July 10, 2015 Categories UncategorizedTags art, cards, death, decay, drawing, fable, fantod, Fiction, fringe, hopelessness, horror, humour, lunatic, politics, power, religion, satire, stage, tarot, theater, theatre, unease, waterLeave a comment on The Mislaid Deck: Card 89 – The Lunatic Fringe. Format ImagePosted on July 10, 2015 Categories The Mislaid DeckTags art, cards, death, decay, drawing, fable, fantod, Fiction, fringe, hopelessness, horror, humour, lunatic, politics, power, religion, satire, stage, tarot, theater, theatre, unease, waterLeave a comment on The Mislaid Deck: Card 89 – The Lunatic Fringe. 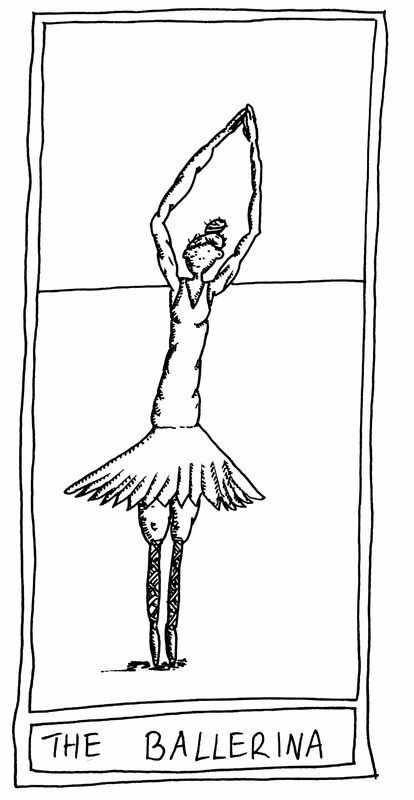 The Mislaid Deck: Card 88 – The Ballerina. Posted on July 7, 2015 Categories UncategorizedTags art, ballerina, ballet, cards, dance, death, decay, door, drawing, fable, fantod, Fiction, hopelessness, horror, humour, politics, power, religion, satire, tarot, unease, waterLeave a comment on The Mislaid Deck: Card 88 – The Ballerina. 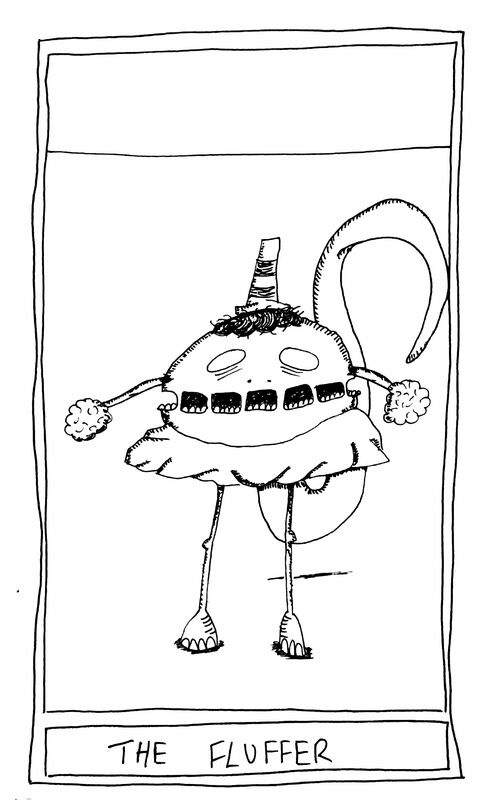 Format ImagePosted on July 7, 2015 Categories The Mislaid DeckTags art, ballerina, ballet, cards, dance, death, decay, door, drawing, fable, fantod, Fiction, hopelessness, horror, humour, politics, power, religion, satire, tarot, unease, waterLeave a comment on The Mislaid Deck: Card 88 – The Ballerina. The Mislaid Deck: Card 87 – The Girl. Posted on July 6, 2015 Categories UncategorizedTags art, cape, cards, child, death, decay, door, drawing, fable, fantod, Fiction, girl, heroine, hopelessness, horror, humour, politics, power, religion, satire, superhero, supernatural, tarot, unease, waterLeave a comment on The Mislaid Deck: Card 87 – The Girl.